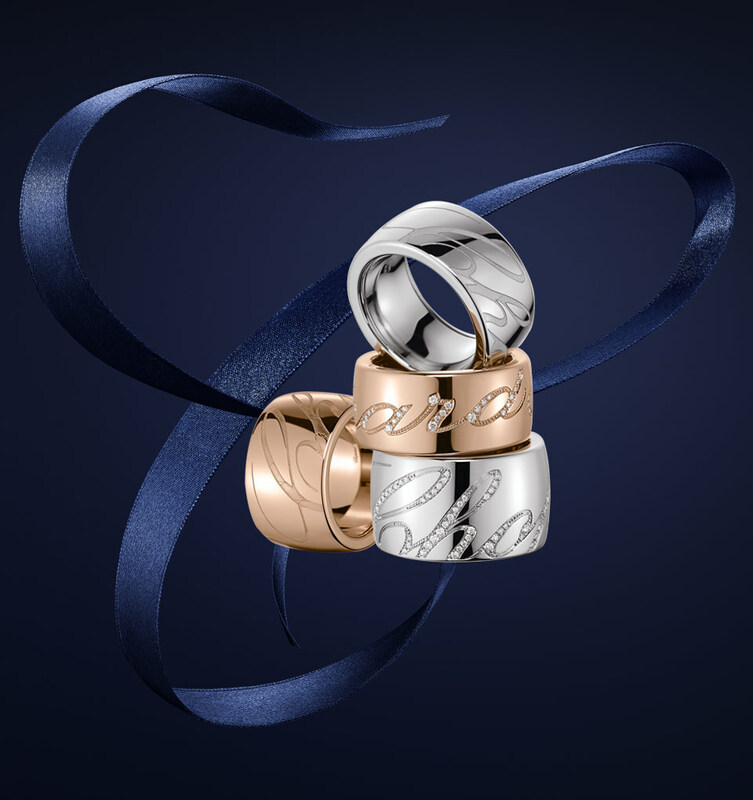 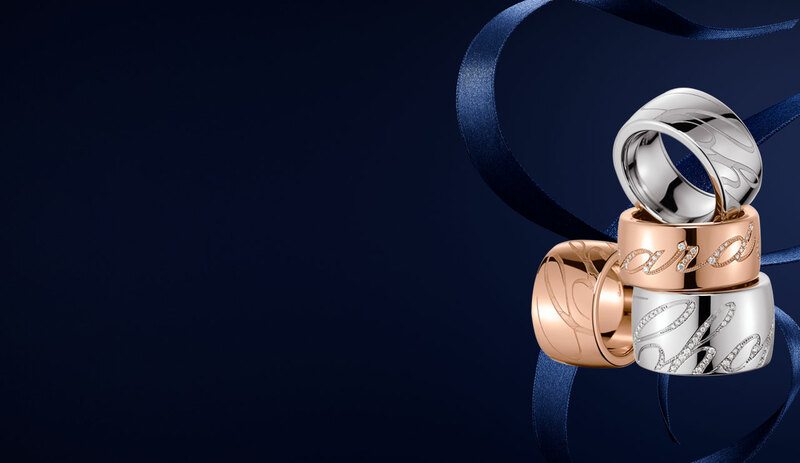 Contemporary yet a true classic, the Chopardissimo rings are a tribute to Chopard's logo, finely engraved as a delicate signature. 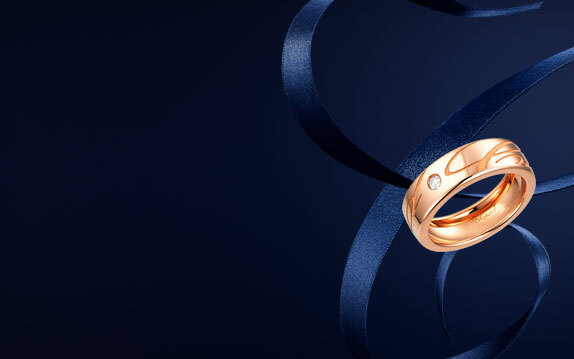 Exquisitely designed by our craftsmen in our Swiss ateliers, these rings blend elegance, luxury and passion. 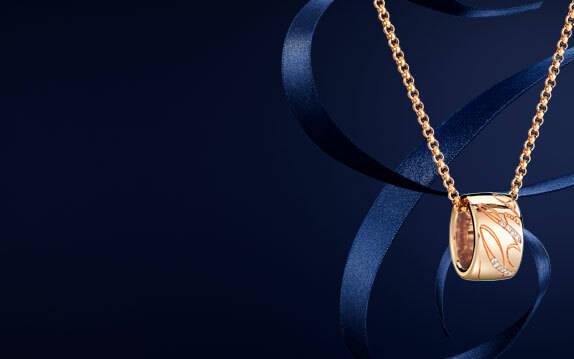 Enhanced by the beautiful calligraphy of the Chopard logo, Chopardissimo pendants are everyday jewels at its finest: contemporary and timeless.